Ireland is a nation of diaspora. Our research team has a high success rate in tracing extended family and have successfully traced beneficiaries across 5 generations. 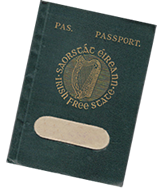 We are specialists in Irish historic documents. We can collect legal copies of all documents required to support your case or claim. We provide due diligence to assess the merits of any case or claim. Irish Probate Genealogy Partners can provide depositions for court cases. Based in Dublin city centre, our researchers have also acted as expert witnesses in court. The inherent difficulties of genealogical research in Ireland can be overcome with the assistance of experienced probate genealogists. With over 60 years combined experience Irish Probate Genealogy Partners provide a comprehensive service to the legal profession. We can locate missing heirs, provide documents and expert testimony to establish kinship and research historic property titles. The partner companies are Eneclann, Ireland’s largest historical and genealogical research company and Heirs Ireland, an internationally recognized probate genealogy firm established in 1990. Our research team are uniquely skilled, and combine academic training with archival experience and research in over 1200 international estates. We can provide depositions and affidavits of heirship for court cases and our genealogists have also acted as expert witnesses in court hearings. As members of the internationally recognised Association of Professional Genealogists (APG) we have signed up to that organisation’s Code of Ethics. All enquiries from the legal profession will be responded to within 2 working days. 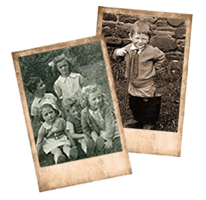 We are a consortium of Irish records specialists and the foremost Irish probate genealogical research firm. Our research team are uniquely skilled, and combine academic training with over 40 years combined experience. We can provide depositions for court-cases and researchers have also acted as expert witnesses in court. Fill in our simple form with your basic details.